Do you love teaching? But finding it’s just not paying the bills? Then you might want to consider moonlighting as a Tutor. It’s an excellent way of making extra money if you have teaching experience and an excellent way of building up experience if you don’t. Even those who have just qualified or busy qualifying can become tutors. But I’m no expert. As a little one, I dreamt of becoming a Teacher, but I chose a different path. So I’ve asked one of my previous, popular guest posters to share her expertise. Chioma Iwunze-Ibiam, of Creative Writing News, explains how to set up a tutoring business in her guest post below. For those of us who are passionate about education, especially teaching, problems associated with conventional educational programs can be exhausting. Some teachers either complain of being underappreciated or completely ignored. Well-paid teachers, on the other hand, are uncomfortable with being overworked. These problems have driven most teachers out of the profession into other fields where they expect to find ‘greener pastures. Everyone wants a bigger pay package and improved working conditions.Teachers want jobs that guarantee them enough time for family and other social activities. And that’s why most teachers opt for private tutoring jobs—both online and offline. There is a huge market for private tutors out there. I know this because I am often swamped with requests to teach creative writing and sometimes, mathematics. There are many reasons why people of different ages need private tuition. Some want to expand their knowledge base, other want a patient tutor to help them learn at their rates. Especially since formal educational systems don’t accommodate the needs of slow learners. Other parents engage tutors to help their children keep up with class work. Even super smart and gifted students need private tutors. Parents understand that children can be easily distracted. And so they hire private tutors to stimulate their minds so that they can reach their full potentials. Tutors are not only for students. People, who are preparing for important examinations or engaged in advanced education, engage the services of tutors. The tutoring business is a viable option for those passionate about motivating and encouraging young people while earning enough income in the process. 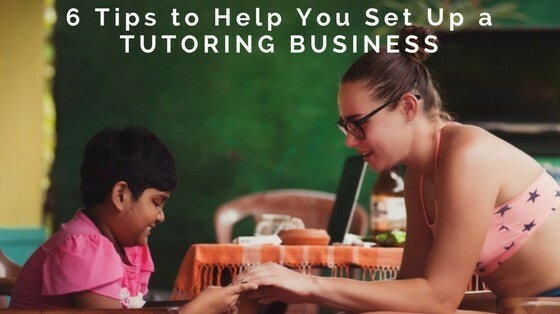 For those who want to go beyond just making ends meet, but want to turn and gradually expand the business over time, here are steps that will guarantee you success in the tutoring business. The business of tutorship is a highly competitive one. Parents and guardians only want to hire the most qualified tutors they can afford. Exhibiting the good qualities of a teacher is just as important as having a good knowledge of your chosen subject(s). Qualifications prove that you have the right skills and experience required to teach the subjects you are aspiring to tutor. It is one Important tool that can help attract clientele, especially when you’re relatively new to the tutoring business. Most tutors have favourite subjects. These are subjects you can teach even when you are half asleep. Every tutor is expected to have a general knowledge of every core subject in the curriculum. But general knowledge is not enough. When listing the subjects available in your tutoring business, concentrate on subjects you are an expert in. you are experienced and skilled in. If a student wants to learn the English language, for instance, he or she will want to find an English tutor that has the right qualifications and proven track records. As the tutoring business grows, you can employ other skilled and experienced tutors to handle other courses your clientele is interested in learning. A good knowledge of your subject is important but so is a good understanding of the educational system you’re operating in. A good tutor must be abreast of new developments in the educational sector. This includes knowing the current syllabus for each school system, the new examination procedures, materials required of specific exams, Common Core Standards etc. To run an effective tutoring business, you have to be proactive and innovative enough restructure lessons as the educational system demands. This is very important especially when you consider that the purpose of engaging the tutor is primarily to improve grades and academic performance. So a tutor’s effectiveness and success will be measured by how much improvement there is in a student’s grades. The success or failure of your tutoring business may depend on the venue of your lessons. Of course, there are many factors to be considered when choosing your lesson venues. You may decide to tutor in your home or propose to do it in your client’s home. This is usually ideal where you have one or two persons as students. But if you are tutoring many learners at once, you may consider holding tutoring classes in larger public places. Also, depending on the number of clients and the convenience, you may want to consider online tutoring classes. To be effective in your tutoring, you need teaching aids. Depending on the subject or subjects, you need a good supply of tutoring materials like stationery, books, charts, cardboard drawings, whiteboards, markers, and even laboratories. If you are doing it the old-fashioned way, then you need a writing board and a lot of pens and pencils. If you prefer a projector, then you need audio-visual aids. An online tutoring business will require more electronic devices and cloud storage. You’ll need a good webcam, video recording and editing software, a clear microphone etc. As a tutor, you must be willing to adapt to technological changes. The tutoring industry like every other industry is rapidly evolving. There are new technologies invented to make the tutoring business easier to navigate. There Is something you need to consider. Success can be overwhelming. If you do the right things, your tutoring business is guaranteed to grow. It will then start to dawn on you that you no longer have the time and resources to manage all your students alone. When this happens and if you are not careful, you’ll become sloppy and falter in carrying out your duties to your clients. This, in turn, will affect your clients’ grades and eventually, you’ll lose them. So, whenever your client base grows to the point where you cannot give 100% to each of them, it is time to employ staff to help in the business. There are a lot of professionals looking for home tuition jobs. Look towards learning from established tuition agencies out there like SmileTutor agency. Having more tutors will help you build up a client base in less time. It is also a good way to gain a good reputation in the tutoring business. Chioma Iwunze-Ibiam writes creative non-fiction and prose fiction. Her works have appeared in Romance Meets Life, Flash Fiction Press, MTLS, Saraba Magazine, Sentinel Magazine and others. Her first novel, Finding Love Again, was published by Ankara Press. She owns and manages Creative Writing News. Are you ready to set up your own tutoring business? Do you have any questions for Chioma? We’d love to hear from you. Please feel free to leave a comment below. This article sure comes in handy, very useful tips! This year I’m planning to take on online tutoring job for extra income. I figure since I have a background in teaching, might as well use that. I believe tutoring is no joke, you can’t cut corners in this type of job, you should do your part to be an effective tutor. I agree, to be a good tutor you should keep abreast to the new developments in the educational sector. Great tips and I hope to read more insightful articles! Hi, Thank you for your insight as a Tutor. Much appreciated. Very pleased to hear you enjoyed the post. Knowledge and experience in the course you teach are the most important skills you should have before starting to teach. Oh yes! I agree with you there. Thanks for your comment. I have been providing tutoring services for over 7 years and I do run a small tutoring business. I love teaching and helping students and that is why I do it. Having said this, it does take a lot of time and effort. You need to be fully prepared before meeting your student so that no time gets wasted during the session. You really need to be patient, because each student learns differently at a different pace. You need to understand your student’s weakness so you can improve it. You also need to know your student’s learning style and use it during your sessions. Hey very informative blog. I think it has a great call to action. That being the need for tutors. Thanks. Pleasure Raymond. Are you feeling called to become a Tutor yourself? This is a very well laid out post, was very helpful for me to understand what one would need before deciding to get into this field! I know someone who would really benefit from this and is so well written that they can easily get good insight before they decide to pursue this route, if they were to do so. Aah, wonderful JP. Thanks for passing it along. Much appreciated. Glad you got so much from reading this post. I considering teaching when I was younger, but ultimately pay plays a big role on what people do. I ended up becoming an engineer, but I still toss the idea of tutoring math around. It sounds like there is a lot I would need to learn in order to commit to tutoring. Even if it is something I did on the side. Hi Steve, that’s interesting. I’m sure with your years of experience as an Engineer, you’d make an amazing Tutor. I’d imagine it’s mostly a matter of updating your knowledge with the current curriculum. If you have children you’re helping with their homework that should be a breeze. Hello Steve, you are right. Tutoring is no joking matter especially a broad subject like maths. But you can do whatever you set your mind to. Hey Lauren, thanks for your helpful tips on setting up a Tutoring business, my niece is is the same predicament, got the degree and the teaching job but find things awkward paying the bills. What an appalling pickle our countries have gotten themselves into. I can imagine attracting the right clientele is rather difficult until you are established however this can only come in time. In a nutshell, results of pupils passing exams learnt from your teaching will speak volumes to accomplish a sustainable tutoring business. Alike any growing business, I can imagine the education curriculum changes quite frequent therefore demands keeping abreast of new developments. What would you suggest is the best way to initially market a Tutoring business: Is word of mouth the best approach for quality clientele as opposed to local advertising & Social Media or do you find a varied mixture helps? Hi Simon, Thanks for your detailed comment. I really appreciate you sharing your niece’s story, as it really highlights exactly what Chioma was saying. I can’t answer your question as one who has set up a tutoring business, however, I can answer generally as someone who has set up a few small businesses over the years. I would definitely start with word of mouth and a business card. I’d also create a very simple website or at the very least a Facebook Page, offering my services. This lends credibility. 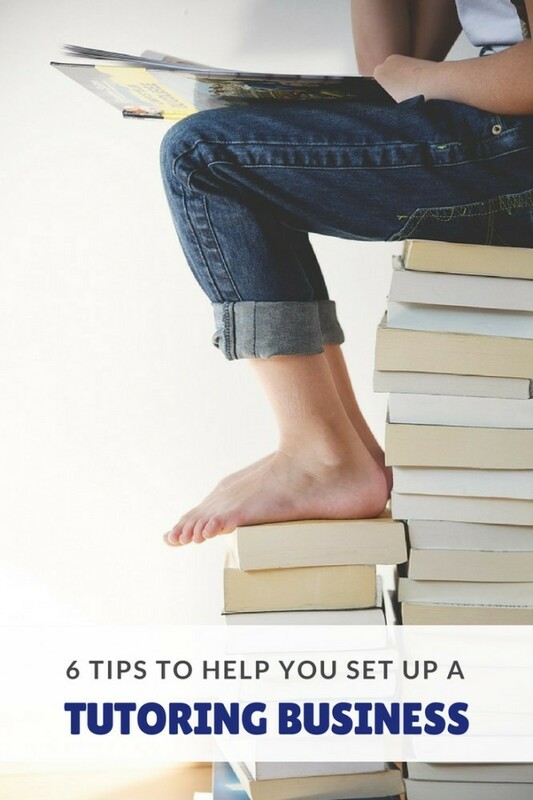 I’d also create an ebook and build a community, but of course, all of these take time to set up and could result in more business than she can deal with, in which case she could hire other tutors to assist and become a tutoring hub. It all depends on whether she has entrepreneurial tendencies or not. Your niece may just find she has enough business through word of mouth. I have also asked Chioma to respond personally to your question as she has experience in tutoring. Wishing your niece all the best. I am sorry it has taken me so long to respond to your question. I totally agree with Lauren’s advice. From experience, word of mouth and accolades work best. When people hired me to teach creative writing, it was because they had seen my awards on my website (creativewritingnews,net) and some had seen my novel in both hard and soft copies. Your niece can start by distributing flyers in her neighbourhood. It will be nice if the flyer has a snapshot of her maths degree or any awards, she might have gotten. Again, she can make one or two videos of her teaching maths. Youtube will pay her as well and clients will be glad to contact her after they have watched her teach. I hope you find this helpful. I wish your niece all the best.